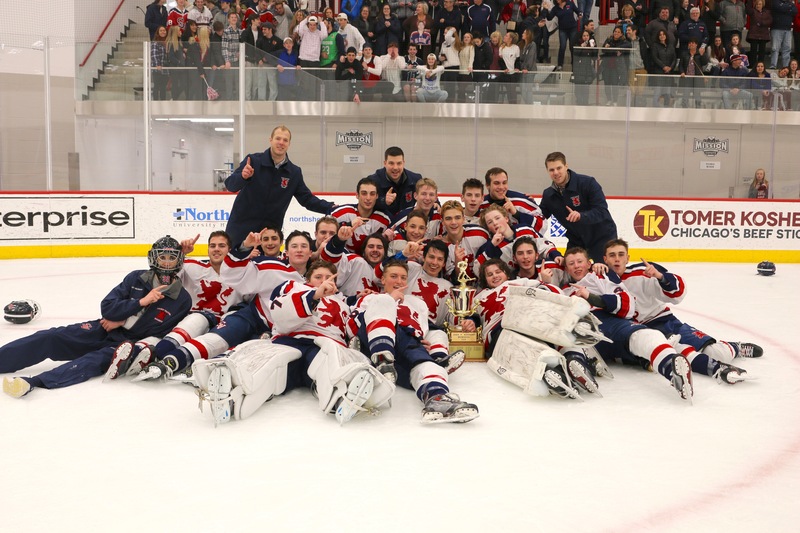 Tim Benz was ready last March when hired as the new head coach at Saint Viator to make a strong push for the Kennedy Cup, the prestigious title awarded to the Catholic League playoff champion, a title that dates back to 1964 and is the oldest trophy in Illinois High school hockey. Benz admitted, though, that he did not expect to win the Kennedy Cup in year one. 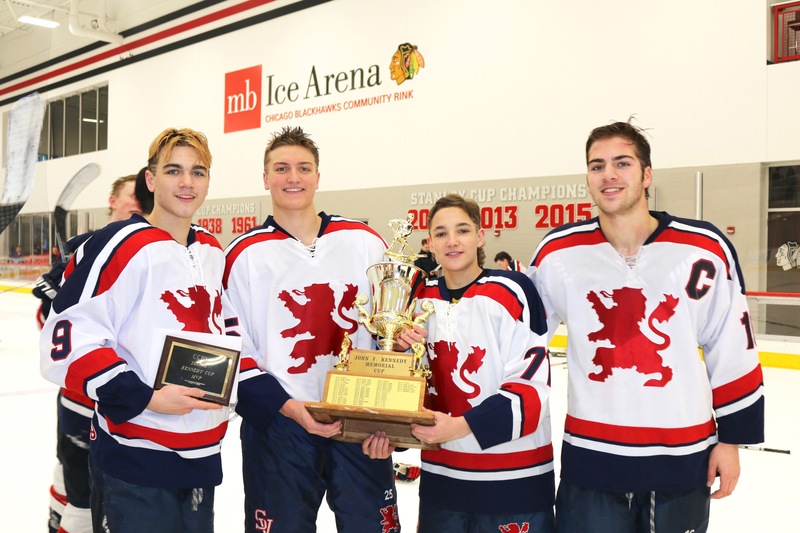 His expectations were shattered on Sunday night, Feb. 25, when the Lions defeated St. Ignatius 5-0 at MB Ice Arena in Chicago to win the best-of-three series. The title is “a testament to our team buying in to the systems and strategy my brothers and I are putting in place,” said Benz, who is assisted by Chris and Greg – all three of whom played at Glenbrook South. 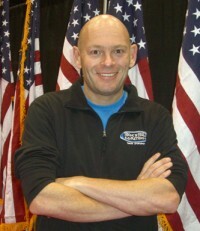 Tim, 31, who lives in Glenview, has been coaching for eight years and four years at the high school level. “Personally, (the team this season has done) as expected. I had high hopes for this team coming in, knowing what kind of talent was on the roster. Outside of our locker room most people would say (the team has done) better than expected,” said Benz, noting that the Lions are loaded with offensive power and senior leadership. St. Ignatius captured first-place in the Catholic League regular-season, finishing with a 16-2-2 record, two points more than Saint Viator (14-2-4). St. Ignatius, with the No. 1 seed in the Kennedy Cup, defeated Brother Rice and St. Rita en route to the finals. No. 2-seed Saint Viator stopped Fenwick and Benet Academy before facing the Wolfpack in the finals. The Kennedy Cup was first won by Fenwick in 1964, and Providence has won the last two and three of the past four. 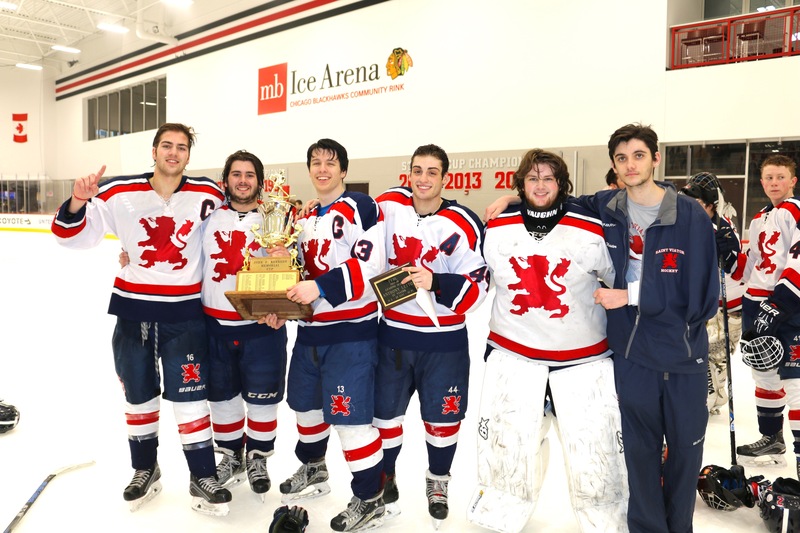 Saint Viator has never hoisted the Kennedy Cup. “We had guys playing roles unselfishly; all four lines were producing and our goaltending came up big when called upon,” he said. The Lions won Game One of the Kennedy Cup, 5-1, on Feb. 18 at MB Ice Arena in Chicago, but the Wolfpack grabbed Game Two, 4-2, played in Mount Prospect. 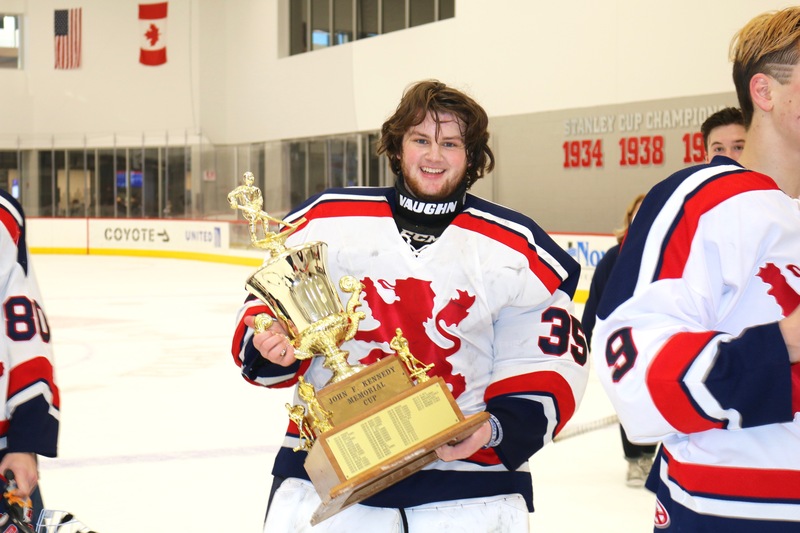 Saint Viator’s Jack Nimrod was named the Kennedy Cup MVP. Nimrod was among the top 10 scoring leaders this season in the Chicago Catholic League – and four of the top 10 are Lions, including Anthony Letto, Anthony Aiello and Vince Avino. Letto was the CCHL’s leading scorer with 44 points in 20 league games. Ah yes, the Illinois High School Hockey State Tournament. No. 5-seed Saint Viator faces No. 12 York on Friday, March 2 in the Sweet 16 round of the state tournament, with the winner positioned to then face No. 4 Glenbrook North or No. 13 Fenwick. The Lions might have to face the Wolfpack again in the state tournament and could possibly face No. 1-ranked Loyola Gold before advancing to the United Center. The Championship Game (Red Division) will be played Saturday, March 24, starting at 3 p.m.
“St. Ignatius is a strong team with some exceptional players. I would not be surprised to see them contending for a state title,” Benz said. The Lions, ironically, had one of the team’s most memorable moments all season against the Wolfpack, during Game Three of the Kennedy Cup. It was a shorthanded goal that gave the Lions a three-goal lead, “and was a back breaker for St. Ignatius,” Benz said. Another memorable moment this season was defeating New Trier Green in the semifinals of the annual Loyola Thanksgiving Tournament. “It was a huge confidence boost for our team and made (the players) realize that they truly can compete with the best in the state,” Benz said. So how was Saint Viator revived? Sizing up Saint Viator: 6 seniors (including two goaltenders), 8 juniors and 5 sophomores. Looking Ahead: The team returns a lot of offensive firepower and five defenseman next season. Plus, “we have a strong JV team that will move up some talented players as well,” Benz said. Glenbrook North: The Spartans hold a 3-1 season series edge over Saint Viator this season. All four games have been decided by one goal, and the Lions have lost three times in OT. “It will be a battle,” Benz said. Key Players: Senior LW Anthony Letto, senior C Vince Avino, senior RW Anthony Aiello, senior D Kevin Joyce, sophomore D Nick Chiapetta, and senior GK Collin Bauman. Key An Eye On: Sophomore center Sean Wagner. “He has been one of those role players who has helped us out so much in the playoffs. He has hit multiple posts in the past few games and is inches away from scoring big goals for us,” Benz said.